In addition to access to the live webinars, all registered participants will receive a password-protected video recording of each session, available for one week from its live broadcast date in case you miss one. Based on her international Amazon bestselling book, Hired! Sheila Musgrove shares hundreds of her insider secrets on how to help job seekers be stand-outs with resumes filled with results. Did you know that 80% of resumes are rejected within 11 seconds? She shows you how to get MORE than 11 seconds. You’ll learn step by step, how to “dig for results” in a coaching-style interview. And you’ll get the inside track on how to prepare candidates for interviews, so they actually look forward to them. Sheila has successfully designed and delivered an extensive training program for post-secondary career educators. The program has been a game-changer for the counsellors and their students. She’ll cover the high points of the program in this exciting 3-part webinar series. What are the critical bones of a resume: We’ll review everything from ideal fonts (and ones never to use) to why extending margins can actually work against you and much more! What NEVER gets read in those initial 11 seconds of resume review? What is the ONE critical interview question you need to ask? What are the KEY questions to ask to uncover those golden results? 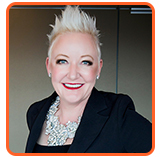 Sheila Musgrove is the Founder & CEO of TAG Recruitment Group, based in Calgary, AB and Amazon best-selling author of Hired! How To Get The Zippy Gig. Insider Secrets From A Top Recruiter. She’s been recognized in the 2017 Alberta Venture ranking of Alberta’s fastest- growing companies – TAG has appeared six times. Profit and Chatelaine rank her among Canada’s Top 100 Women Entrepreneurs – she’s appeared four times. She’s been interviewed on CTV Morning Live (Calgary, Ottawa & Vancouver), Global Morning Calgary, 660 & 770 radio. Canadian Living magazine profiled her job search strategies in September. For two years in a row, Sheila’s sessions have been filled beyond capacity at the Cannexus National Career Development Conference. Requests for cancellation(s) must be made by emailing your request to registration@ceric.ca. Cancellation requests must be received before 5:00 pm ET 2 business days prior to the webinar date. NO REFUNDS are granted after this point. An administrative fee of 10% will be deducted from any paid webinar registration. Delegate substitutions are permissible. Please notify us at registration@ceric.ca if you intend to transfer your registration to another person. Supply us with that person’s name and contact information including their email address. The substitute delegate will be required to pay any difference in registration rate. If a technical failure at the attendee’s home or workplace prevents access to the live webinar, the attendee will not be given a refund. It is the responsibility of the attendee to confirm system requirements and test their computers prior to the start of the webinar.